These works of art have been photographed and pressed into tiles. 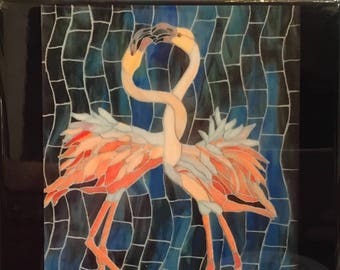 Each ceramic tile is 8” x 8” with a sturdy cardboard backer that allows it to hang or stand. 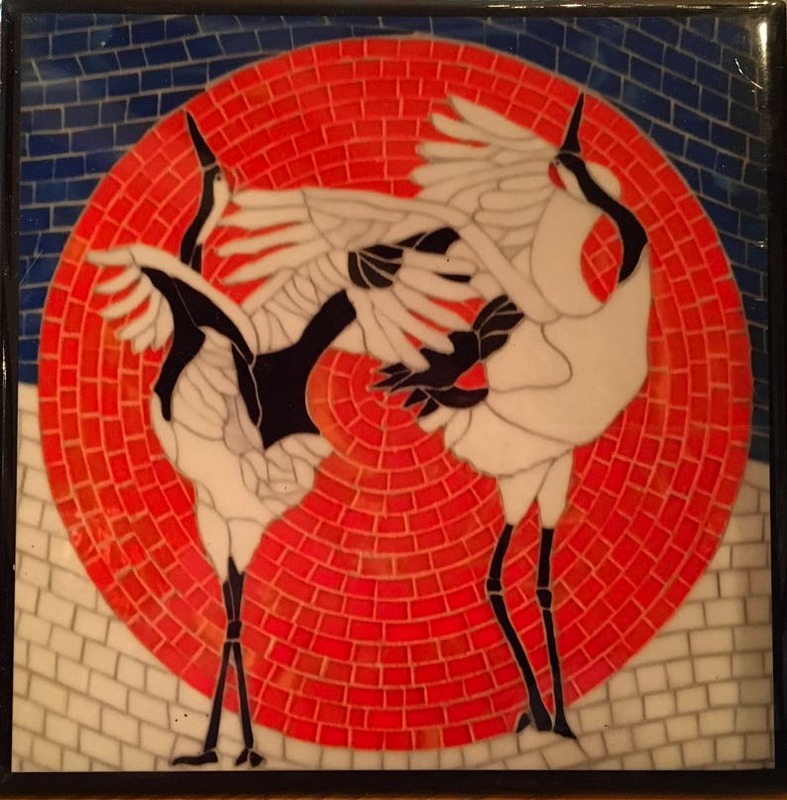 This tile is the Japanese Crane’s mating dance.